Rainforest Animals - ARTE AMAZONIA provides a global voice through art for the indigenous cultures of the Amazon. 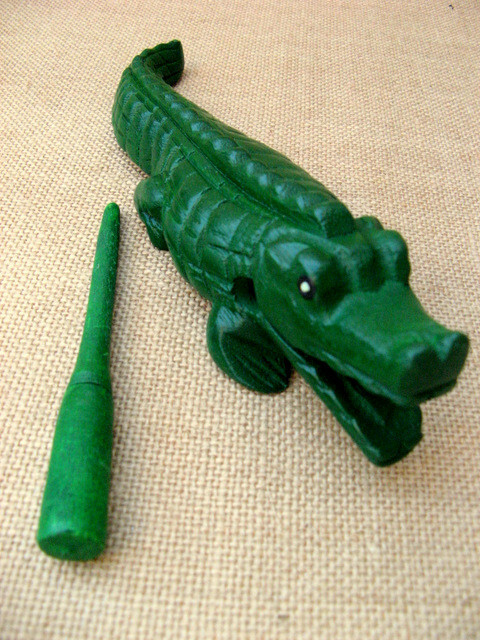 including the crocodile, frog, armadillo and cricket. These instrument are hand carved from wood with ridges on its back. They are inspired by the Central and South American instrument called the Güiro with an origin going back to pre-Columbian times used by the Taino people. Dag the stick down his back to made a scraping sound. 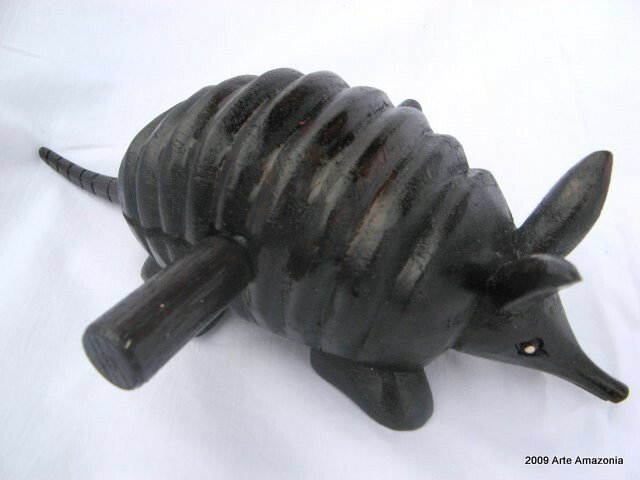 These armadillos are hand carved in Vietnam and Thailand. Simply hold the armadillo in one hand and stroke its ridged back with the thick end of the stick provided to make a resonating sound. 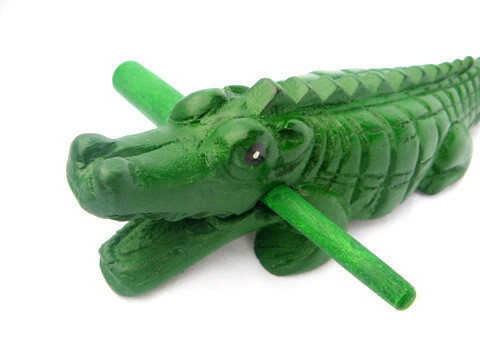 Materials: wood Size: W: 22cm; H: 6cm. Dark and light wood finish available.